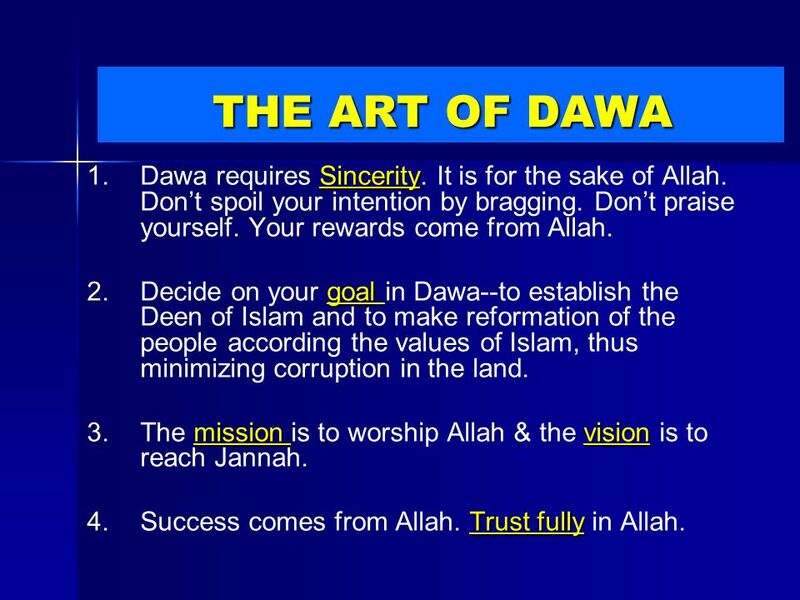 2 THE ART OF DAWA Calling to Islam is the best job. 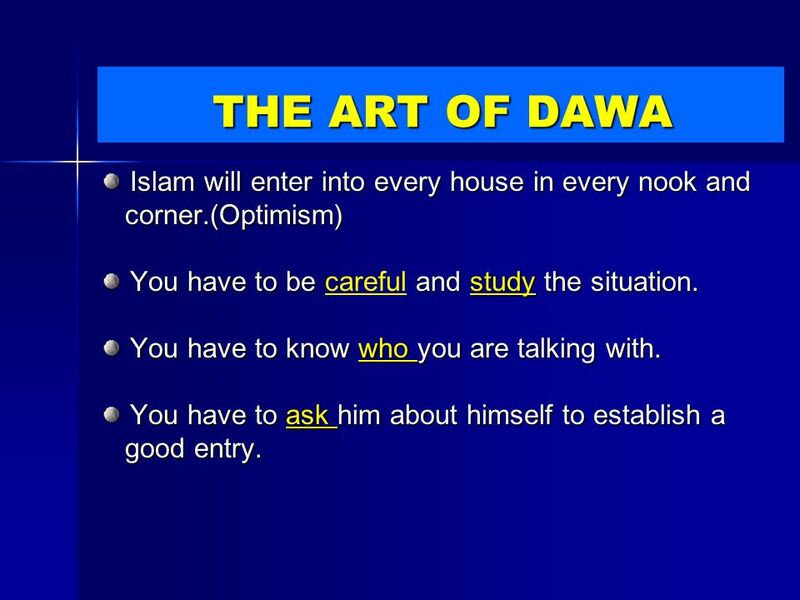 You have to know Calling to Islam is the best job. 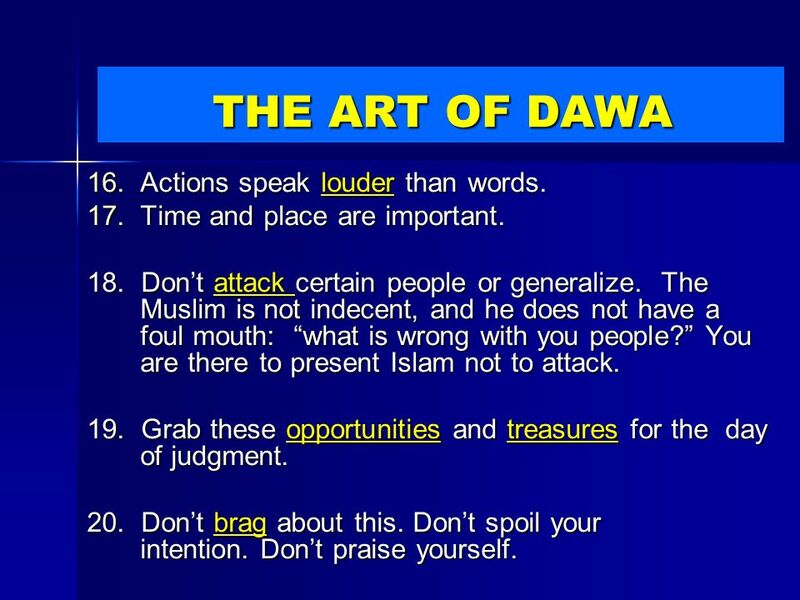 You have to know that you are and you are carrying that you are representing Islam and you are carrying the message of all the prophets which is The most the message of all the prophets which is The most honorable message. 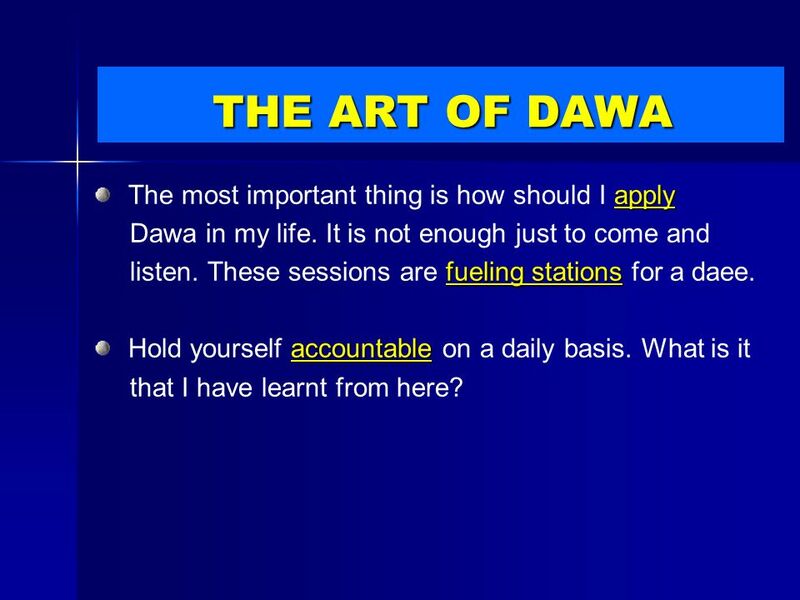 honorable message. 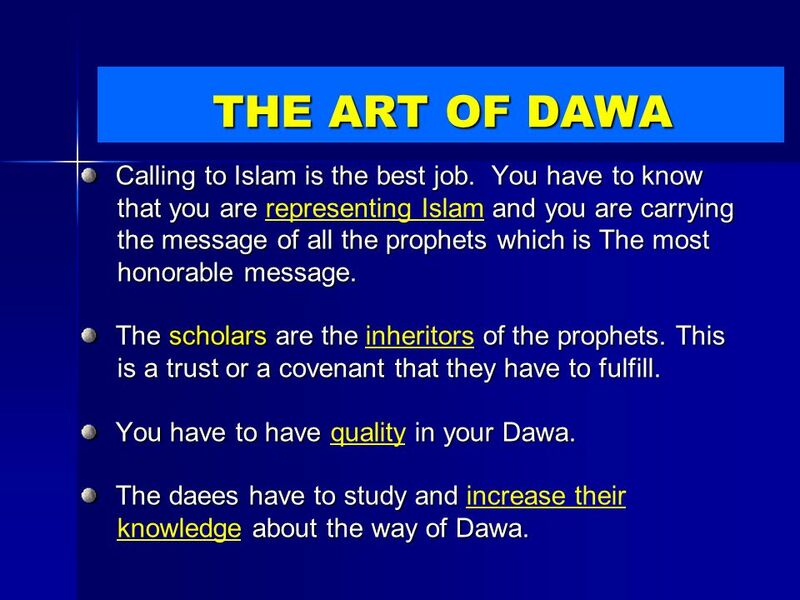 The scholars are the of the prophets. 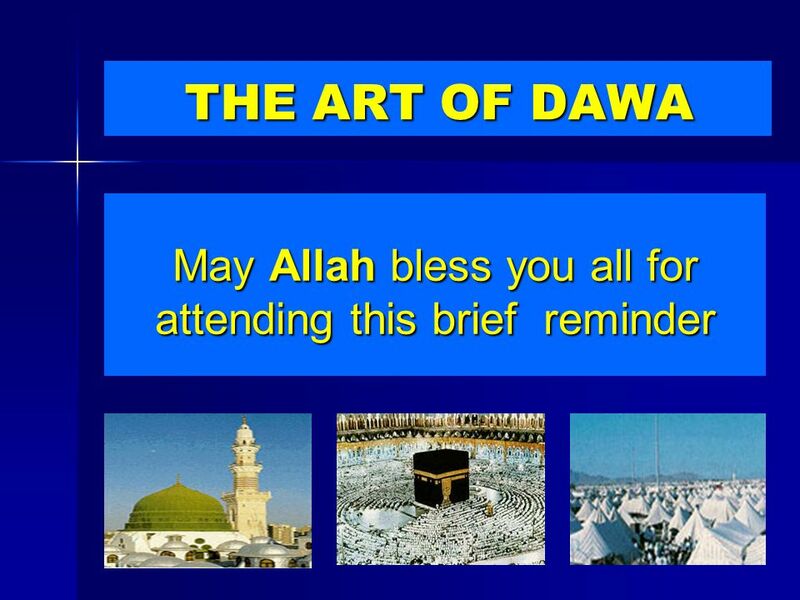 This The scholars are the inheritors of the prophets. 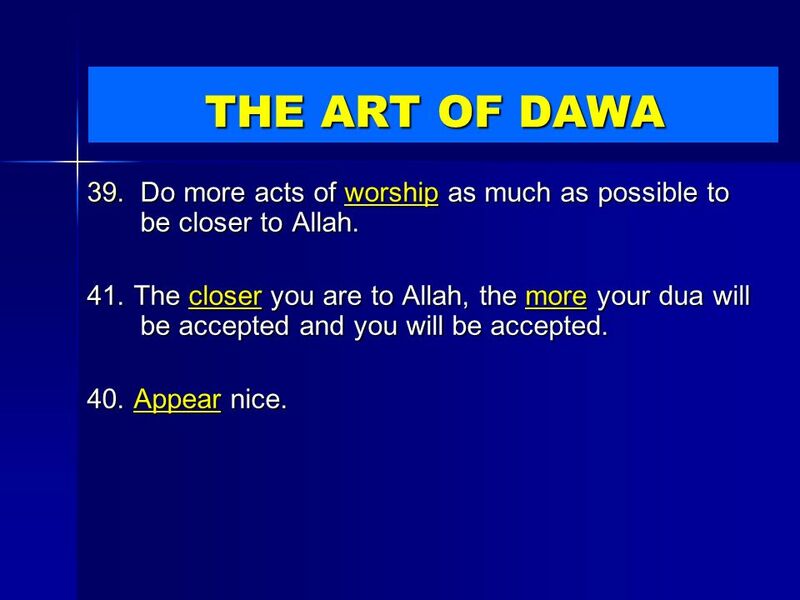 This is a trust or a covenant that they have to fulfill. 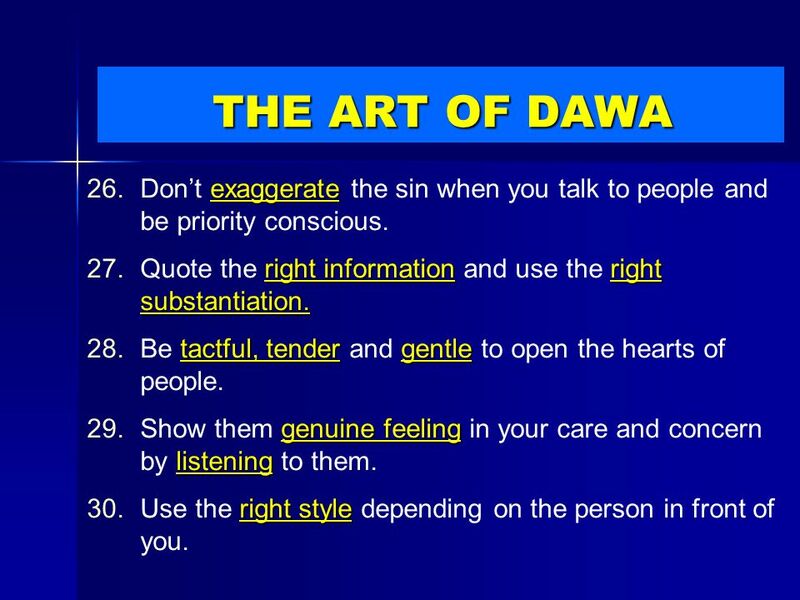 is a trust or a covenant that they have to fulfill. 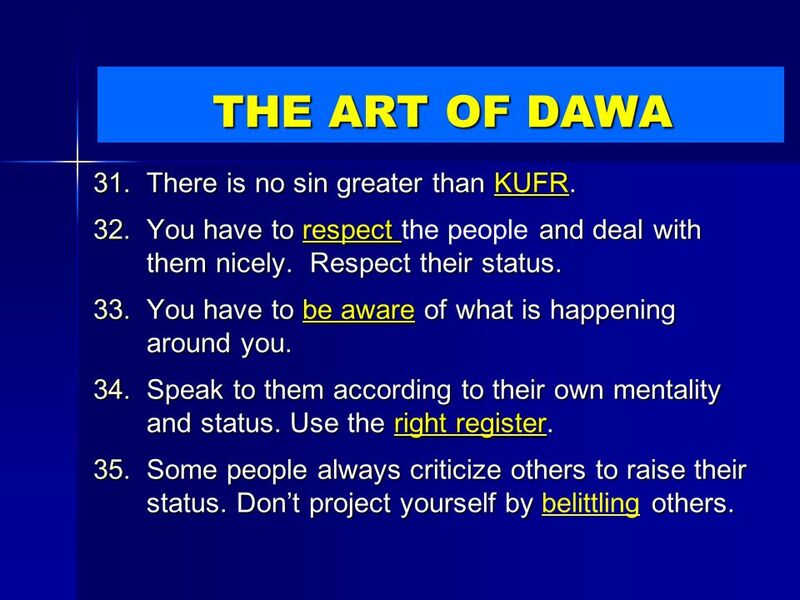 You have to have in your Dawa. 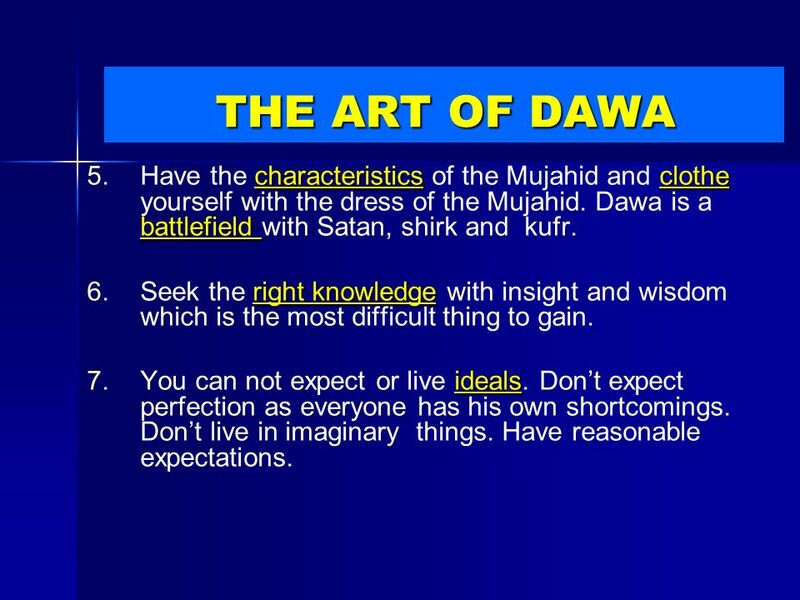 You have to have quality in your Dawa. 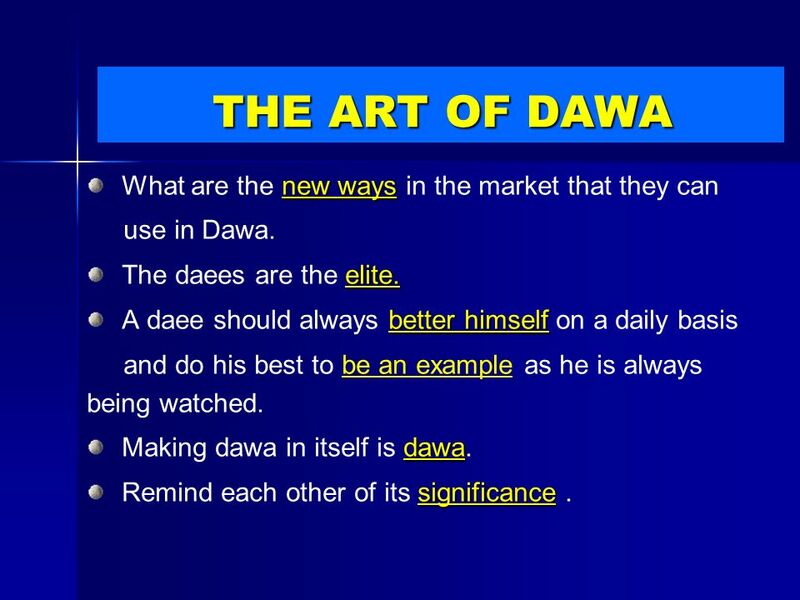 The daees have to study and The daees have to study and increase their about the way of Dawa. 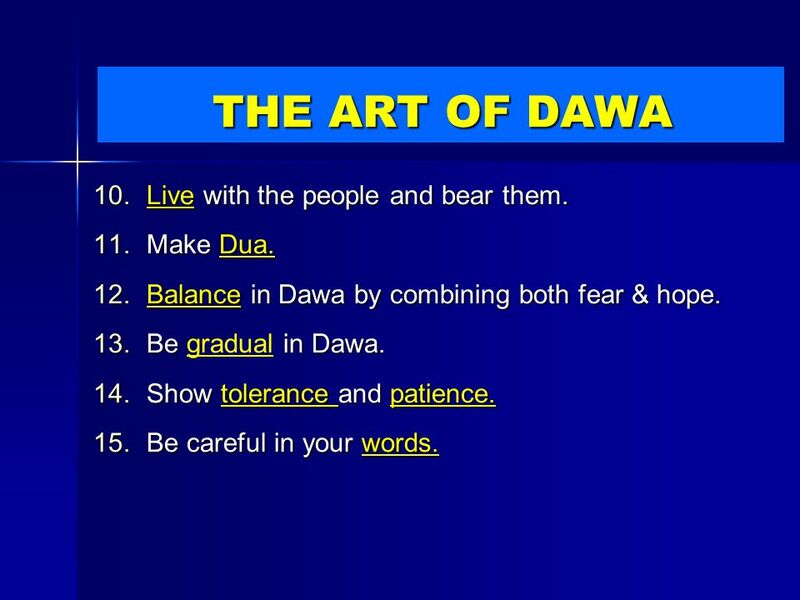 knowledge about the way of Dawa. 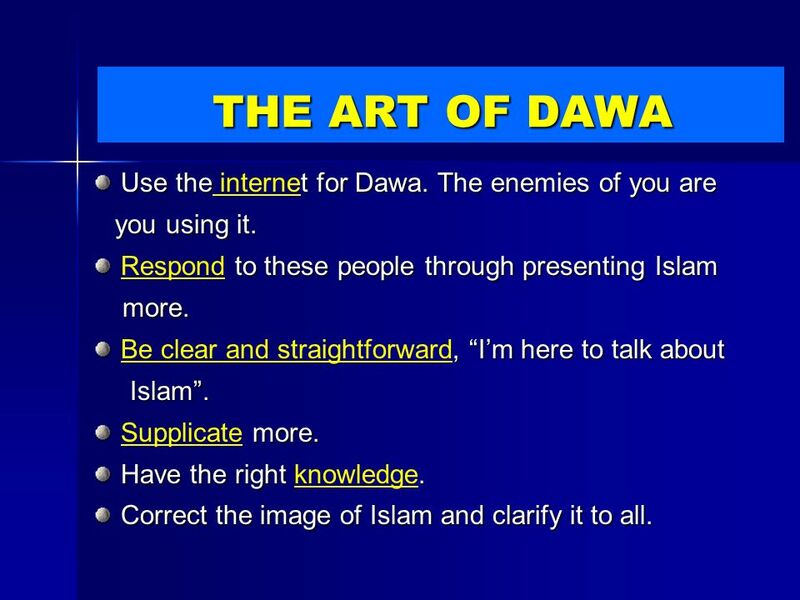 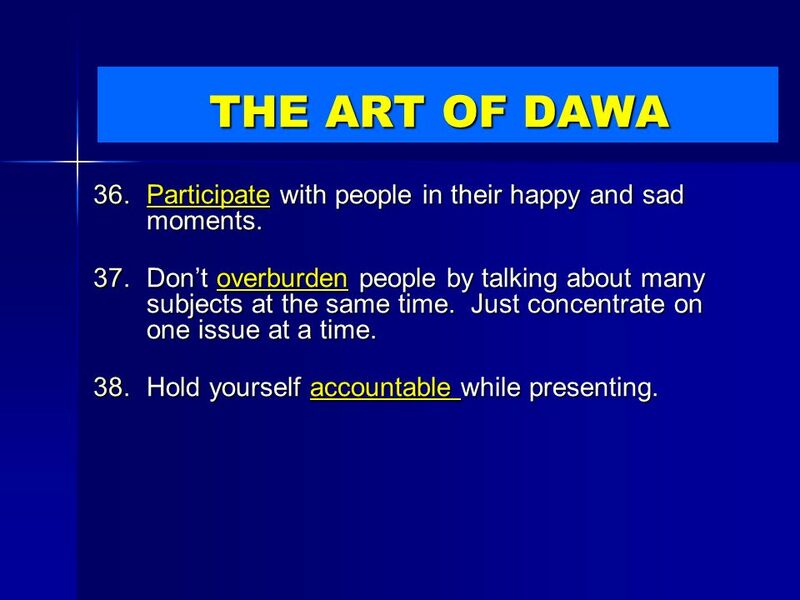 Download ppt "THE ART OF DAWA www.dawahmemo.comwww.dawahmemo.com مكتبة موقع المفكرة الدعوية"